So far, 2019 has been a difficult year for video-game stocks. The industry was rocked by the unexpected popularity of the free video game, Fortnite. Meanwhile, questions regarding in-game purchases have created uncertainty about how game makers will generate the bulk of their profits moving forward. However, with gaming stocks struggling to make a comeback, now could be great time to buy one or more of them. Not all gaming stocks are created equally, especially now that the industry has become crowded and competitive. Many new trends emerged over the past year, including rising PC gameplay and the introduction of subscription services and in-game purchases. While all of the industry’s larger players are working to take advantages of these new growth avenues, one stock stands apart for its commitment to continue doing what works for its customers: Take-Two Interactive (NASDAQ:TTWO). Unlike many of its competitors, TTWO stock hasn’t relied heavily on in-game purchases. The firm has added some in-game extras, but doesn’t depend as heavily on that type of revenue as some of its peers. Last year, Activision Blizzard (NASDAQ:ATVI) made more money on so-called “microtransactions” than it did on sales of games. By contrast, only about a third of TTWO’s revenue comes from in-game purchases. Some may see that as a negative because Take-Two isn’t capitalizing on a money-making opportunity. However the firm’s decision to limit the amount of in-game purchases has resonated well with its audience and positioned TTWO’s games as offering better value than many others on the market. Another divergent path that TTWO has taken is remaining focused on its console offerings. PC gaming has been becoming more popular, leading firms like Activision and Electronic Arts (NASDAQ:EA) to develop a wide range of PC games in addition to their console offerings. Take-Two has released a PC version of the latest version of its Grand Theft Auto franchise, but so far TTWO has not released a PC version of its Red Dead Redemption 2 game. Again, this could easily be classified as a missed opportunity, but TTWO is sticking to what it does best: making great console games. Instead of trying to do everything for every kind of gamer, Take-Two is focused on keeping its console content high-quality. Ultimately, that approach should be favorable for TTWO stock. While Take-Two has decided not to embrace some of the emerging trends in the gaming sector, the firm is looking to exploit the growth of gaming on mobile devices. TTWO acquired Social Point back in 2017 in an effort to beef up its mobile-game portfolio, and the company has promised to expand its mobile-sports-game offerings and roll out other new games for mobile devices in the years to come. There’s no argument that Take-Two has some of the best content in the industry; that’s what truly sets it apart from other game makers. Management has tried to preserve that reputation by basing most of its strategic decisions on maintaining its high level of quality, even as the firm looks to exploit new growth avenues. 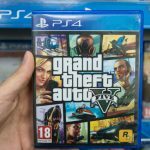 TTWO stock is heavily dependent on the success of two major franchises: Grand Theft Auto and Red Dead Redemption. That’s risky because it puts all of the eggs of the owners of TTWO stock into two baskets, but on the other hand, that laser focus has kept the company at the forefront of the gaming industry. The releases of Take-Two’s latest games have rivaled blockbuster-movie premiers, putting the firm on another level compared to its peers. It’s also worth mentioning that TTWO stock is backed by a solid financial foundation, making TTWO stock more attractive. Take-Two has around $1 billion of cash on hand and virtually no debt obligations; that means the firm can easily survive a downturn and invest in new growth opportunities comfortably. The gaming sector is volatile, and TTWO stock does carry some risk. Compared to its peers, TTWO stock, with a price-earnings ratio of 56, isn’t cheap. The firm’s strategy, while bold and differentiated, exposes the owners of TTWO stock to a lot of risk, since TTWO stock will likely sink if a game from one of TTWO’s key franchises isn’t well-received. But if you’re comfortable taking on some risk and you can sit through the inevitable volatility of the video-game market, Take-Two stock is certainly worth considering while its share price remains under $95. Article printed from InvestorPlace Media, https://investorplace.com/2019/04/why-take-two-stock-stands-out-from-the-pack/.